Recently my husband and I had a conversation about Little House on The Prairie®. He confessed that he really didn't watch the show much as a child (I think I gasped) and that he didn't realize that the show had been based on a set of true-story books. Yes, I know. I can hear the collective thump across the internet of jaws hitting the floor. It took me days to get over my shock (and pity for the poor deprived man!). The conversation prompted me to pull all my beloved paperback Little House books out of the attic. It was high time for those books to be displayed proudly on our bookshelf, and loved all over again! I began reading the series with my younger sons the very night of my husband's confession. My sons would not be missing out on this iconic piece of history. As we started reading Little House in the Big Woods, the magic came back immediately. I told my boys that there was a show based on these books, and that once we read the books together, we'd have to watch the show together. 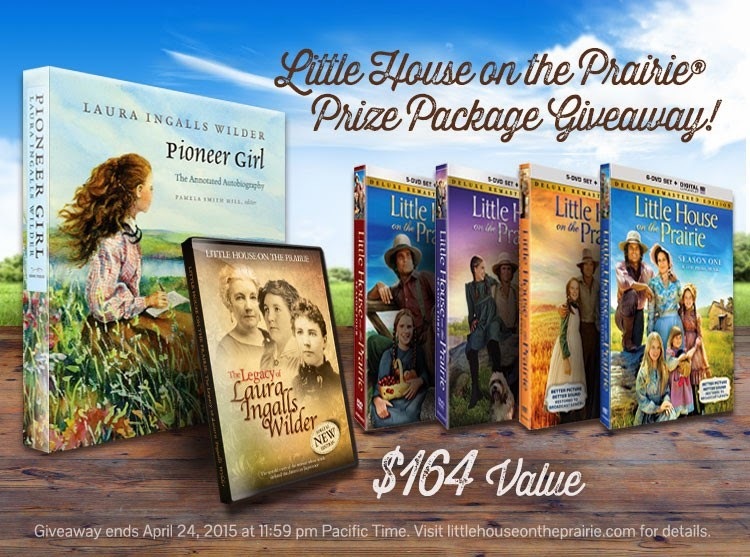 Well, it hasn't been too long since the Little House 'revival' in our home, and just a few days ago I was surprised and honored to be given an amazing offer as a blogger--to share a giveaway with you, my readers, directly from the official Little House on the Prairie® site! This package is just incredible. Someone will win not only the entire first four seasons of the show, newly remastered, but they'll also win Pioneer Girl (a recently released autobriography with details never shared in the Little House books), a Pioneer Girl tote bag, and a new documentary about Laura Ingalls Wilder. Can you say "dream come true?" I'd be so thrilled if one of my readers won. There are two packages being given away, so be sure to enter for BOTH contests; the rafflecopter at the end of this post, brought to you by me and a bunch of us from The Homestead Bloggers Network, and another package offered on the Little House on The Prairie® site. Did You Become Laura, Too? To say that Laura Ingalls impacted my young life would be an understatement. I pretty much became Laura for a couple years. I wore my hair in braids. I developed a keen interest in wearing long skirts and aprons. I wandered around in a fantasy world most of the time, imagining running through wild prairie grasses and attending a one-room schoolhouse. I devoured the books, one by one, and then dove into them again for second course. holding the paperbacks next to my pillow as I fell asleep. I was a girl obsessed. And I am NOT the only one...I am sure many of you are nodding your heads right now, thinking "yeah, me too!" My best friend moved to upstate New York several years ago. though the location is different, the land is much how I imagine Laura's home. 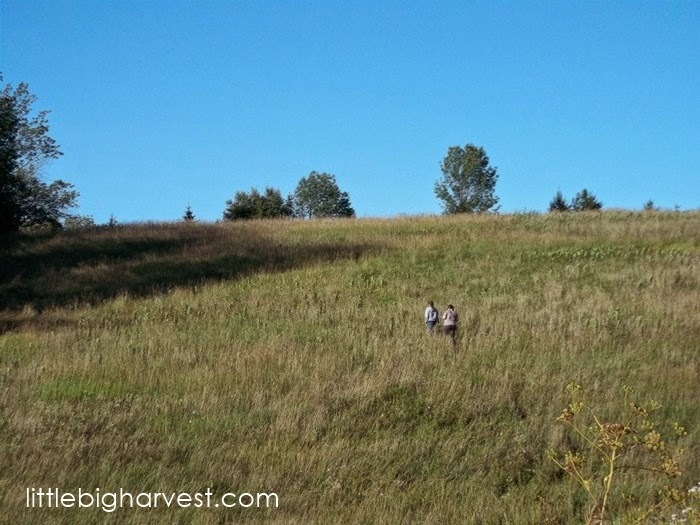 Here we make the climb up the hill on her property. During the years that Little House aired, I was entering those years between being a child and a teen. 'Tween years' (we weren't called tweens back then...I think we were just called annoying-and-frustrating). I was still so much a girl, but had moments of self-awareness and discomfort that drove my mom nuts. One afternoon we were stopping in at the grocery store after we'd spent the day at my grandma's. Visiting grandma meant lots of time outside running around and playing, and I caught a glimpse of myself in the review-mirror as mom parked. "Mom...I can't go into the store looking like this!" My hair (in two braids, as it was most of the time) looked disheveled and ragged. Mom glanced at me and in a moment of desperation, knowing there was no way she was going to leave me in the car alone and also realizing she really needed to pick some things up at the store NOW, smiled and said "Andrea, don't you see? You look just like Laura would have looked after running through the meadows and prairies!" Her bluff worked, and I looked into the mirror at my messy braids again, this time with pride. I practically beamed. And strutted through the aisles of that grocery store, just knowing that every passersby thought "Wow, that girl looks just like Laura Ingalls!" The messy braid moment allowed my mom a blessed easy out with her moody daughter, but the truth is, Little House on the Prairie® affected me in countless ways. The books and the show transported me to a different time, and connected me to history in the best way possible--through a first-hand narrative of an incredibly relatable young lady who wove magic into her stories. On the most basic level, Little House also connected me strongly to my own childhood family unit. First of all, we bonded by watching the show together (I was the only one reading the books at the time, so having a way to share my obsession with my mom, dad, and brothers was very fun for me). Second, I realized that as a family, we still did some of the same things as the Ingalls. We burned wood for heat. We grew food. We ate together, played together, disagreed together, and at the end of every day--happy or sad--we loved each other. I was so fortunate to have grown up in a family that taught me so much. I can only hope that I can instill some of those same things in my kids. As I learn how to do more and more for myself and my family on our 'urban homestead', I feel the presence of so many inspiring people who strived for a life of fulfillment and simple joy--including Laura Ingalls and her family. Fellow Little House Lovers: Visit the Official Site! When you visit the site, first click here to enter the second prize package offered...but there is so much more! This site is packed with fun stuff. 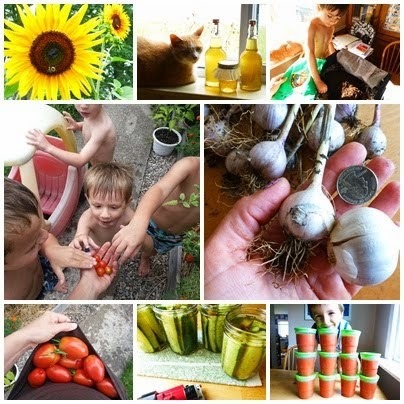 Recipes, learning, crafting, sharing, all things Little House. I loved this post on how pioneers planted their gardens, and was tickled to find a spot where Little House fans can contact the site with their own personal stories, or whatever they want to share about Little House on the Prairie® and how it has affected their lives. This place is SO MUCH FUN! Follow Little House on the Prairie on Facebook, Twitter, and Pinterest, too...if you are a diehard fan like me. This giveaway is coordinated by Little House on the Prairie through Homestead Bloggers Network. For some reason, your rafflecopter won't recognize all the stuff I did on the other site. No idea how to enter. Hang on tollbaby...the rafflecopter seems to be having issues on all the blogs that are promoting this giveaway. We are working on it as I type! It will be working smoothly in just a little bit! Thank you for alerting me.